This is a new publication related to hazard perception among elderly drivers. We compared HP abilities using a driving simulator and the video observation technique. 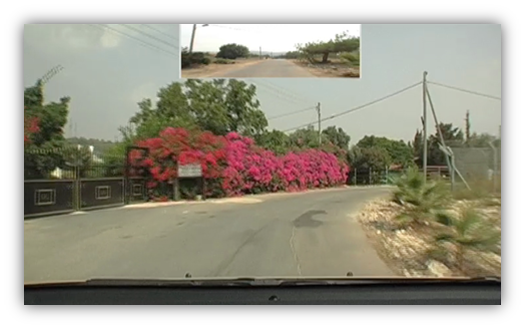 As much as the simulator graphic language allowed, our simulated scenarios were replications of the observed video scenes, as shown in the examples below. Snapshot examples of scenarios in the simultor. Bromberg, S., Oron-Gilad T., Ronen, A., Borowsky, A. and Parmet Y. 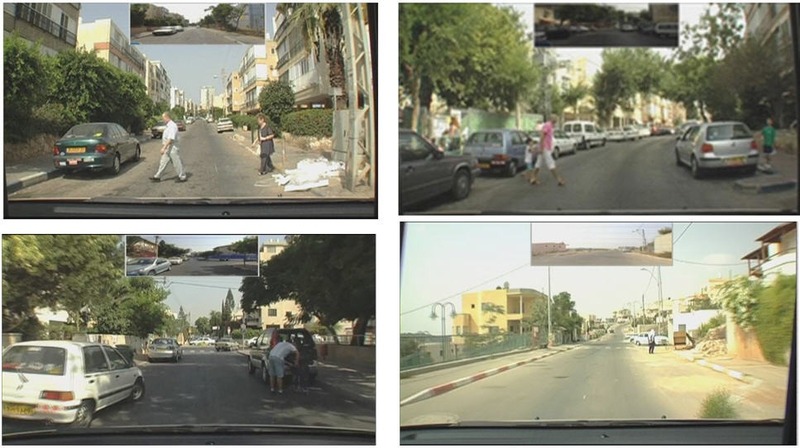 (in press), The perception of pedestrians from the perspective of elderly-Experienced and Experienced drivers Accident Analysis and Prevention, 2010. We examined hazard perception (HP) abilities among elderly-experienced and experienced drivers, with regard to the presence of pedestrians in residential areas. 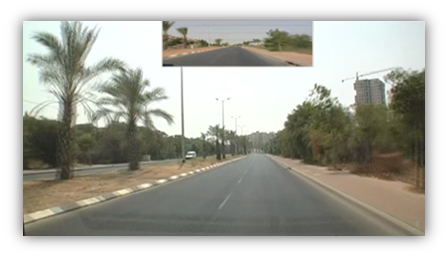 Two evaluation methods were used; a) observation of traffic scene videos and pressing a button when a hazardous situation was identified, and b) driving in a driving simulator. 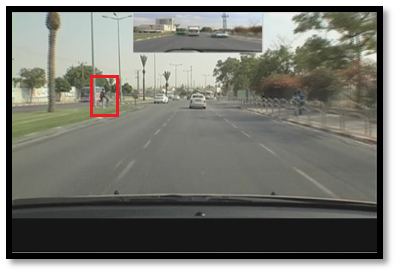 The results of the video observation method showed that elderly drivers had a longer response time for hazard detection. In addition, four of the eight pedestrian-related events were difficult for elderly drivers to perceive when compared to experienced drivers. 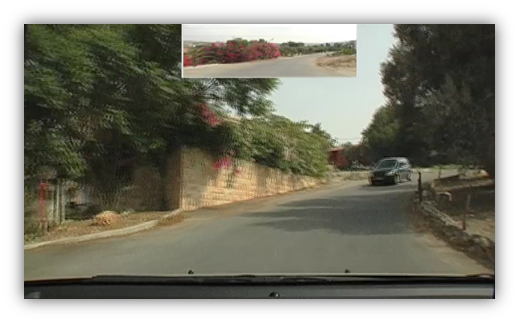 Elderly drivers, shown to have limited useful field of view, may also be limited in their ability to detect hazards, particularly when located away from the center of the screen. Results from the simulator drive showed that elderly drivers drove about 20% slower than experienced drivers, possibly being aware of their deficiencies in detecting hazards and slower responses. Authorities should be aware of these limitations and increase elderly drivers’ awareness to pedestrians by posting traffic signs or dedicated lane marks that inform them of potential upcoming hazards. AAHPT is a research effort aimed toward developing innovative training strategies for Hazard perception among young-inexperienced drivers. Initial findings concerning AAHPT training methodologies are available, those are constantly embedded into future development directions. 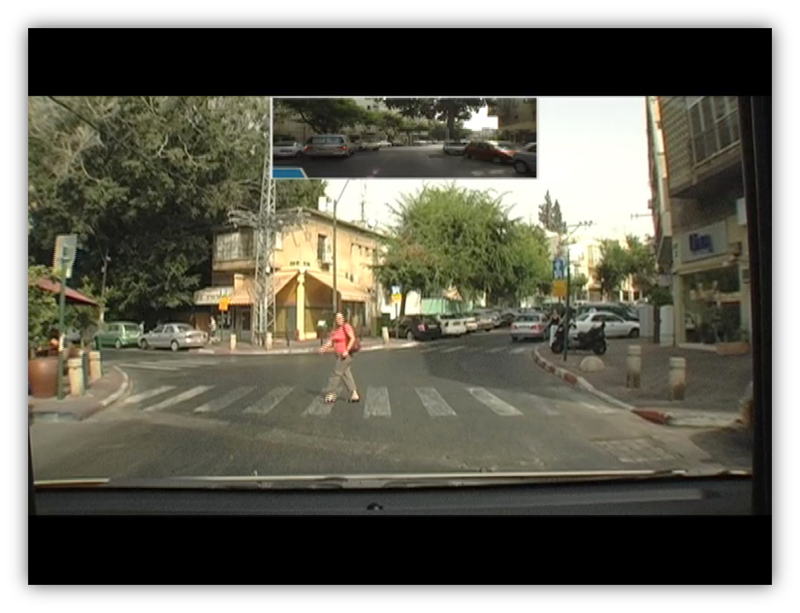 Active – Participants observe 63 HP video-based traffic scenes and are asked to press a response button each time they detect a hazardous situation. Participants first observe a movie press a button each time they perceive a hazardous situation. Once, completed a text box appears and they have to specify the reason for their presses. Instructional – The ‘Instructional’ group underwent a theoretical tutorial, where written material concerning HP was followed by video-based examples. Participants were not asked to actively respond to situations, but rather to become familiar with concepts and examples. Here are two sample slides taken from the Instructional-based training. 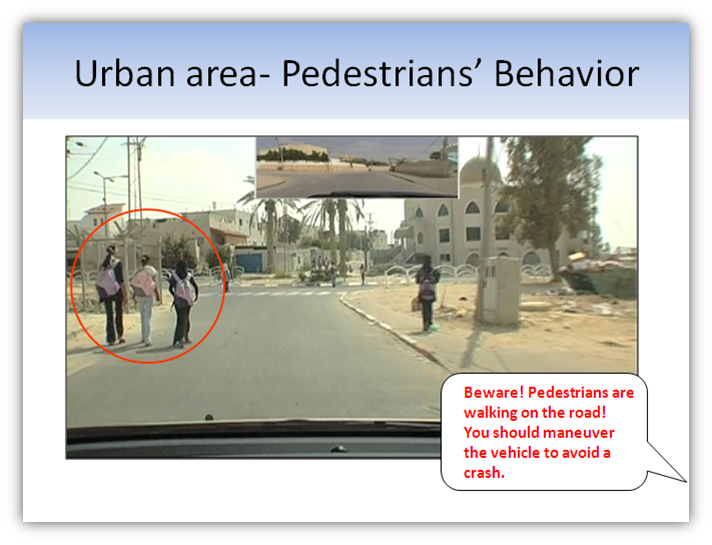 The first leads to a discussion on different traffic environments and the second shows a specific example of pedestrians in an urban area including tips and information. 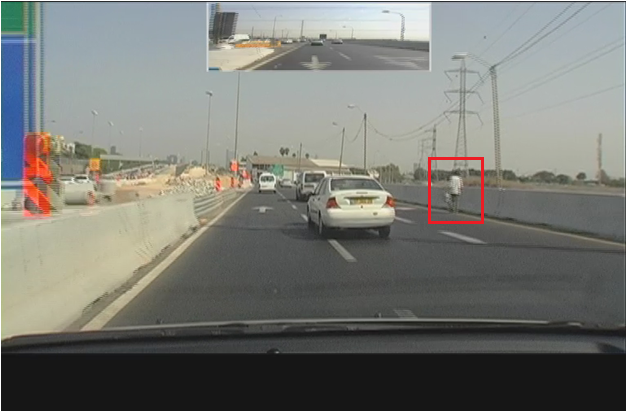 This snapshot was taken from one of the 63 videos of traffic scenes used in the AAHPT training. Hybrid – The ‘Hybrid’ participants observed a concise theoretical component first (similar to the ‘Instructional’ mode) followed by a shortened active component (similar to the ‘Active’ mode). 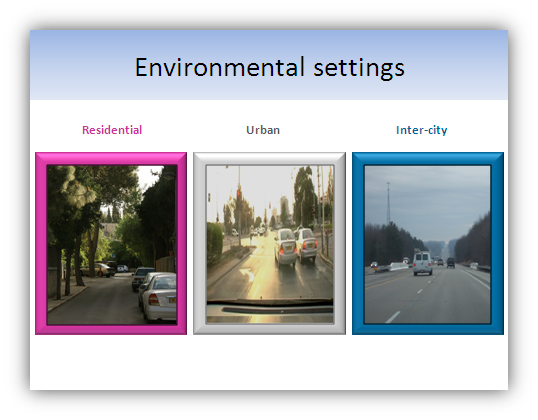 This mode enables the young-inexperienced drivers to receive both theoretical information as well as to act and respond. 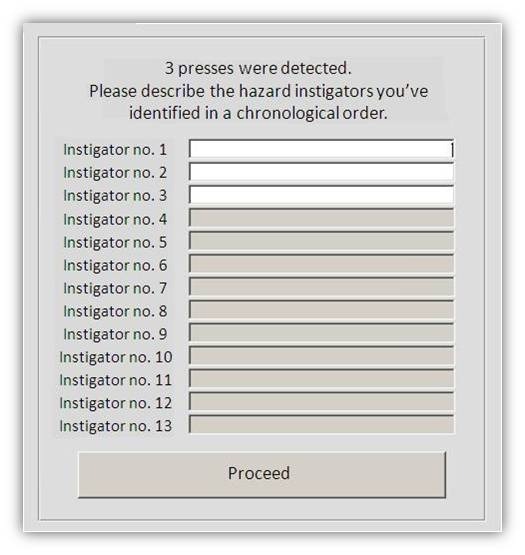 Observe 58 HP movies and press a response button each time they detect a hazard similar way as in the Active training but different movies with less salient hazards (see following images left-training, the hazard (e.g., vehicle) is apparent whereas right-testing the hazard is not apparent ,i.e., potential danger). Classification task – similar to the one used in Borowsky, Oron-Gilad and Parmet, 2009(see also www.icttp.com/presentations/pdfs/O163.pdf) . Borowsky, A., Oron-Gilad, T., Meir A. and Parmet Y. Human Factors and Ergonomics Society’s 54th Annual Meeting. California, September 27-October 1, 2010. 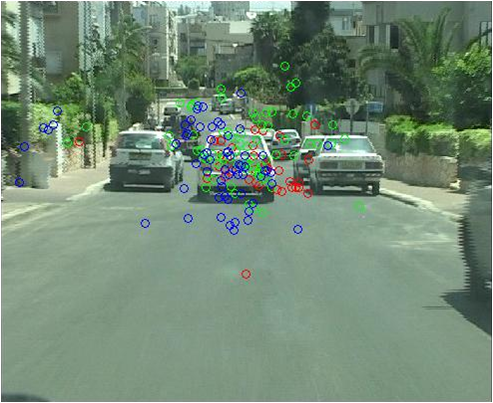 Statistical databases often distinguish between accidents with pedestrian-injuries in urban and inter-city areas. Obviously, conflicting situations involving pedestrians are more typical in urban areas and less common in intercity areas. Nevertheless, the urban environment itself is not unified. There are variations in its characteristics; some of its roads are located inside residential neighborhoods and are more populated with pedestrians while other urban roads are located beyond residential neighborhoods and are less populated with pedestrians. Specifically, it is not clear whether differences in pedestrian expectancies can be exemplified in within-neighborhood residential roads and between-neighborhood urban roads. In our new publications we used the results of a Hazard Perception Test (HPT) to examine differences in drivers’ response to pedestrian-related events in urban and residential areas. This new publication will appear soon in a special issue dedicated to vulnerable road users (VRUs) in Accident analysis and prevention (David Shinar, guest editor). Look for: Borowsky, A., Oron-GIlad,T. , Meir, A. & Parmet, Y. (in press). Drivers perception of vulnerable road users: A hazard perception approach, Accident Analysis and Prevention. Accepted November 2010. The present study examined how experienced and young-inexperienced drivers (either trained in hazard perception or not) respond to and identify pedestrians when they appear in residential roads within populated neighborhoods and in urban roads located outside neighborhoods and usually less populated. 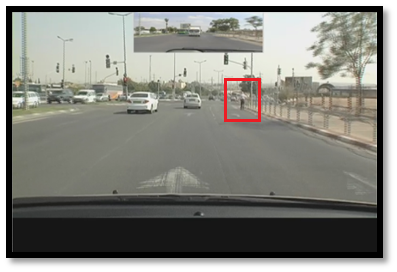 As part of a hazard perception test, participants were connected to an eye tracking system and were asked to observe 58 traffic scene movies and press a response button each time they detected a hazardous situation. Analyzing all pedestrian-related events revealed that, regardless of driving experience or training, drivers detect pedestrians less often when they appear in urban areas and more often when they appear in residential areas. In addition, drivers had shorter fixations when fixating on pedestrians in residential areas. Moreover, experienced drivers processed information more efficiently than young-inexperienced drivers (both trained and untrained) when pedestrians were identified. 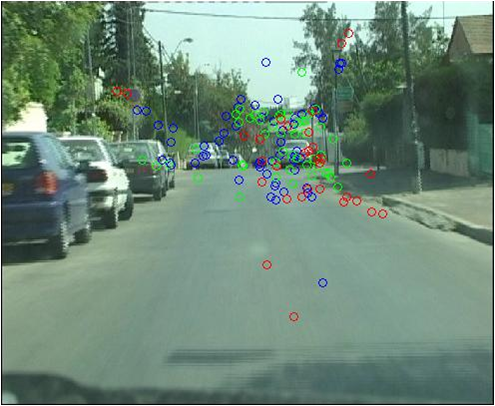 Visual search patterns in urban and residential traffic environments are discussed. Road hazard is any object, situation, occurrence or combination of these that introduce the possibility of the individual road user to experience harm (see Hawarth, Symmons & Kowadlo, 2000). Hazard Perception (HP) is the ability to read the road (Mills, Hall, McDonald & Rolls, 1988) or situation awareness for dangerous situations (Horswill & Mckenna, 2004). HP is a skill that improves with driving experience. Experienced drivers have a more holistic perception of the traffic environment. They adjust their eye scanning patterns to the characteristics of the traffic environment and they detect more hazards than young-inexperienced drivers. Young-inexperienced drivers (with few months of driving experience) have an impoverished knowledge base which causes them to pay more attention to unimportant details, and to scan the road less efficiently. With regard to elderly drivers, some studies have shown that unlike other driving-related skills, HP does not diminish over the years, since it is based on accumulated experience and schemata. 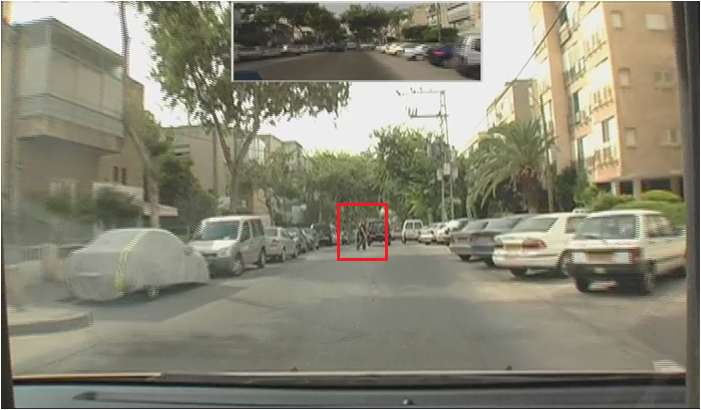 We used a video observation technique and showed that elderly drivers identified more hazards than experienced drivers, thereby supporting the claim that hazard perception does not diminish over time. However, in some cases they identify hazards later than experienced drivers. 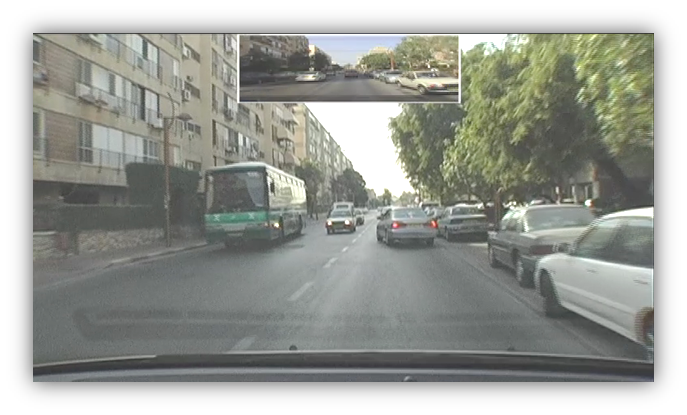 Thus, elderly drivers may identify the hazard (e.g., an intersection) at the same time as the experienced driver, but have slower physical reaction time or, more likely, project the hazards based on their own driving behavior which often consists of slower driving speeds than the obtained driving speed in the video-based scenarios. This study examined the effects of age and driving experience on the ability to detect hazards while driving; namely, hazard perception. Studies have shown that young-inexperienced drivers are more likely than experienced drivers to suffer from hazard perception deficiencies. However, it remains to be determined if this skill deteriorates with advancing age. 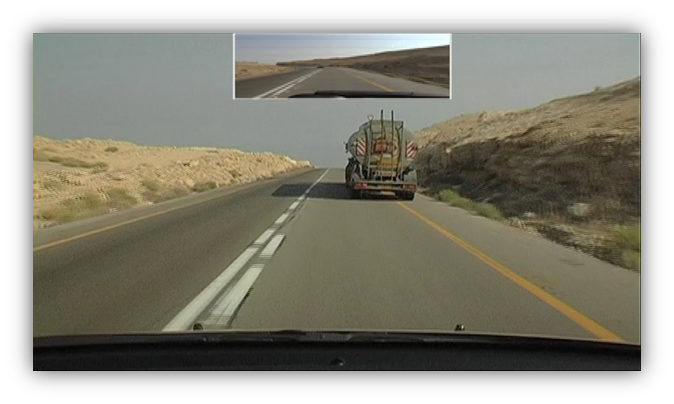 Twenty-one young-inexperienced, 19 experienced, and 16 elderly drivers viewed six hazard perception movies while connected to an eye tracking system and were requested to identify hazardous situations. Four movies embedded planned, highly hazardous, situations and the rest were used as control. Generally, experienced and older-experienced drivers were equally proficient at hazard detection and detected potentially hazardous events (e.g., approaching an intersection, pedestrians on curb) continuously whereas young-inexperienced drivers stopped reporting on hazards that followed planned, highly hazardous situations. Moreover, while approaching T intersections older and experienced drivers fixated more towards the merging road on the right while young-inexperienced drivers fixated straight ahead, paying less attention to potential vehicles on the merging road. The study suggests that driving experience improves drivers’ awareness of potential hazards and guides drivers’ eye movements to locations that might embed potential risks. Furthermore, advanced age hardly affects older drivers’ ability to perceive hazards, and older drivers are at least partially aware of their age-related limitations. Eye scanning patterns obtained from elderly-experienced (red), experienced (green) and young-inexperienced (blue) drivers are shown in the pictures below. The more experienced drivers tend to concentrate on the merging road on the right. Young drivers focus closer and more to the left.